Young climate change activists told Congress on Thursday that their lives are at risk unless the U.S. government takes bold steps to curb greenhouse gas emissions. But systemic change is possible, Piper, joined by four other young witnesses, told lawmakers. “The hat hasn’t dropped on the climate crisis. We still have time to act. I will not feel despair because we haven’t failed yet,” Piper said. Despite their age, the young activists who testified before the House Select Committee on the Climate Crisis Thursday are experienced organizers, some of whom have been protesting for climate action in Washington, D.C., for years. Just last month, many joined the surge of young people who turned out in protests around the world in what was estimated to be the largest global day of climate action ever. Piper is one of 21 plaintiffs in Juliana vs. U.S., a lawsuit that claims that, if the U.S. government fails to protect the environment, members of his generation could be denied their constitutional rights to life, liberty and property. The lawsuit, filed in 2015, has seen many delays but is set for a hearing before the Ninth Circuit Court of Appeals. Earlier this year, 30,000 young people signed onto a legal brief asking the appeals court to move the case forward. “First the Obama administration -- and now the Trump administration -- has done everything in its power to stop our lawsuit …They are simply scared about what our trial will reveal,” he said. Rep. Kathy Castor talks with Aji Piper, a plaintiff in the Juliana v. United States climate lawsuit, at the first hearing of the House Select Committee on the Climate Crisis, on Capitol Hill, April 4, 2019, in Washington. The power of the court, Piper said, is the ability to "disregard the disbelief and recognize the science." Piper and three other young Americans were the featured witnesses in the first public hearing of the select committee, a panel established by House Democrats to draft recommendations for Congress to enact. The top Republican on the panel, Rep. Garret Graves of Louisiana, said he agreed with an “obligation to be good stewards of this planet and to protect our environment” but also focused on the economic trade-offs. One such example came from Rep. Carol Miller, a Republican from the coal state of West Virginia, who defended the industries that give her constituents means to live, despite criticism from climate activists. State and local governments should seek solutions, Miller said, and asked one of the young witnesses before the committee, a recent college graduate who now works in the governor's office in Louisiana, what she'd learned from working on local projects. 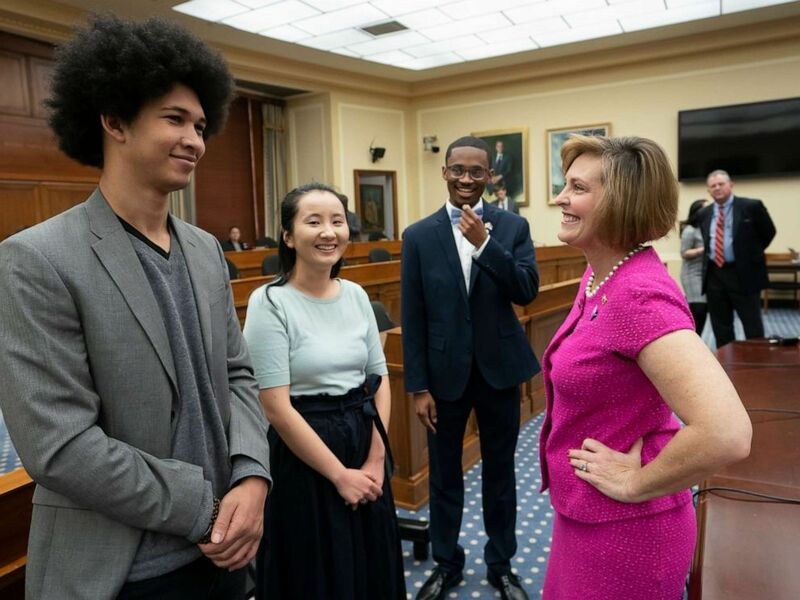 House Select Committee on the Climate Crisis Kathy Castor, right, welcomes, from left, Aji Piper, Young Evangelicals for Climate Action Co-Chair Melody Zhang, and Chris Suggs, on Capitol Hill in Washington, April 4, 2019. "As you know, coming from West Virginia, our economy as well is heavily reliant on the industry that surrounds us. So, we find it most successful to partner with the industries that we're working with," said Lindsay Cooper, who works on coastal restoration in Louisiana Gov. John Bel Edward's office. Her office receives a lot of funding from oil revenue and oil spill compensation funds, she said. "I think developing those partnerships and learning to work in a compromising manner is really the only way that we can provide long-term solutions to this problem," Cooper said. Each of the teenagers told lawmakers stories of their personal experiences with worsening natural disasters during their childhoods. Cooper, the oldest witness to testify before the committee, said the north shore of Louisiana’s Lake Ponchitrain area, where she grew up, was at risk of being washed away. Chris Suggs, a sophomore at the University of North Carolina and native of the state, spoke of how he saw the impact of climate change firsthand when his hometown was devastated by flooding after Hurricanes Florence and Matthew. 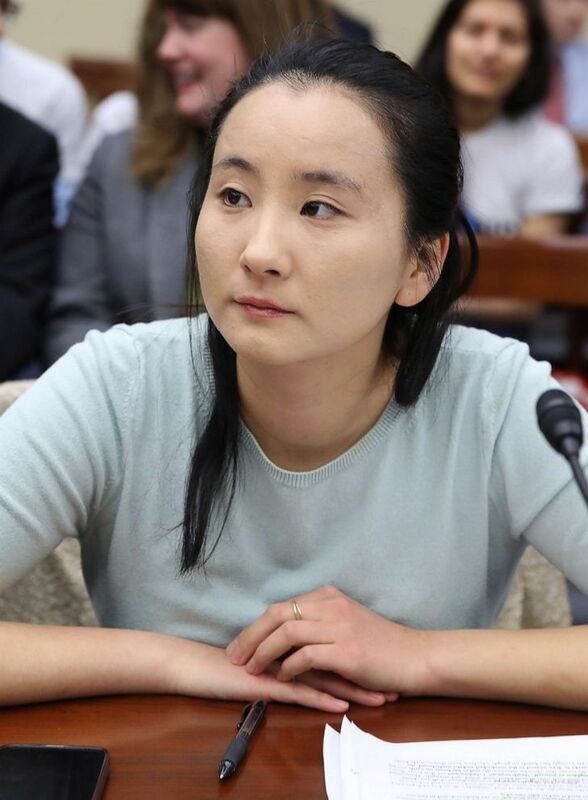 Melody Zhang, Climate Justice Campaign Coordinator, speaks at the first hearing of the House Select Committee on the Climate Crisis, on Capitol Hill April 4, 2019, in Washington. In 2014, Suggs launched a nonprofit to get young people involved in rebuilding his community. The fourth witness, Melody Zhang, is a recent graduate from the University of Michigan and part of Young Evangelicals for Climate Action,a group that acts to protect climate change with the backing of religion. Zhang quoted scripture to implore the committee of a moral obligation. The new House select committee was created by House Speaker Nancy Pelosi to address climate crisis in February. Rep. Alexandria Ocasio-Cortez, a young face of climate action and an author of the Green New Deal, is not a member of the committee, which she'd previously criticized for lacking political power. ABC News' Devin Dwyer contributed to this report.